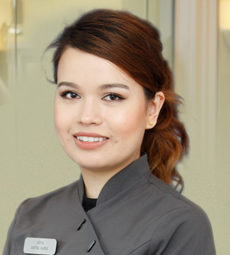 Since qualifying as a Dental Nurse, I have continued my development by gaining experience of dental nursing during oral surgery, implant, facial aesthetics and sedation cases. I am committed to patient care and am always courteous and helpful. I have excellent organisational skills and am a reliable and dedicated clinical team member. I enjoy travelling, socialising with friends and going to the movies.